Madison – Major General Raymond A. Matera was the adjutant general of Wisconsin. He was responsible for both the federal and state missions of the Wisconsin Army and Air National Guard. He passed away on January 31, 2019. General Matera was born on January 9, 1925 in Rock Falls, IL. He graduated from Newman High School, Sterling, IL, in 1943 and attended St. Mary’s (Minn) College, in year 1946. He is also a graduate of the U.S. Air Force Primary and Basic Pilot Training, Goodfellow, Air Force Base, Texas, 1948-49; Squadron Officer School, 1952; and the Air War College, 1972. After enlisting in the U.S. Marine Corps in June 1943, General Matera served as an aerial gunner and Marine infantry in the South Pacific until his release from active duty in October 1945. He reenlisted in the U.S. Air Force as an aviation cadet in October 1948. After receiving his pilot wings in September 1949, the general was assigned to the 92nd Fighter Squadron, Nellis Air Force Base, Nev, flying F-86 aircraft. In January 1951 he volunteered and was reassigned to the 7th Fighter Squadron, Tageau (K2), Korea, as an F-80 and F-84 pilot. He was also assigned as a ground forward air controller, 5th Regimental Combat Team, U.S. Army, from June-August 1951. In March 1952, General Matera returned to the 433rd Fighter Interceptor Squadron and Headquarters, 520th Air Defense Group, Truax Field, WI, serving as flight commander flying F-89s until his release from active duty in July 1954. He then joined the Wisconsin Air National Guard in August 1954, serving the 176th Fighter Interceptor Squadron as an assistant operations officer, flight commander and air operations officer. He assumed command of the 176th in October 1958, moving to Headquarters, 115th Fighter Group, in November 1960, as an air operations staff officer. General Matera was then assigned to Headquarters, 128th Air Defense Wing, as director of operations. He remained with the 128th until December 1967, when he returned to the 115th as the deputy commander for operations. 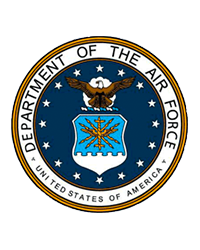 He once again assumed the role of director of operations for the 128th in January 1969 and was appointed chief of staff for the Wisconsin Air National Guard in November 1971. General Matera was appointed adjutant general on July 1, 1979. The general is a command pilot with more than 4,000 hours in the T-6, F-51,O-2A, T-33, F-102, C-47, F-86, F-89, T-6, F-84 and F-80 aircraft. His awards and decorations include the Legion of Merit, Distinguished Flying Cross, Air Medal with cluster, Distinguished Unit Citation, American Campaign Medal, Asiatic-Pacific Campaign Medal with three stars, World War II Victory Medal, with three stars, Air Force Longevity Service Award Medal with oak leaf cluster, Armed Forces Reserve Medal with an hour glass device, Republic of Korea Presidential Unit Citation and the United Nations Service Medal. General Matera was also awarded the Order of the Sword in 1986 and the Billy Mitchell Award in 1987 from the Milwaukee Chapter of the Air Force Association. His civic affiliations include the National Guard Associations of the United States and Wisconsin, Veterans of Foreign Wars, Air Force Association, American Legion (chairman) and the Air Reserve Forces Policy Board, 1979-1982. General Matera was promoted to major general and federally recognized on February 6, 1976. Surviving General Raymond A. Matera is wife, Janet; daughter, Terry; sons, Eugene (Mary) and Steve (Andrea). Preceding her father in death is his daughter, Rae Anne. He is also survived by 10 grandchildren and six great grandchildren. A graveside service with full military honors will be held at 1:00 pm on Friday, May 24, 2019 at Resurrection Catholic Cemetery, 2705 Regent Street, Madison. In lieu of flowers, the family requests contributions be made to the American Cancer Society or to a charity of your choice. 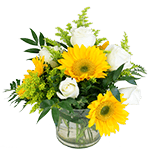 There's still time to send flowers to the Reception at the Best Western from 3:00 PM to 5:00 PM on May 24, 2019.